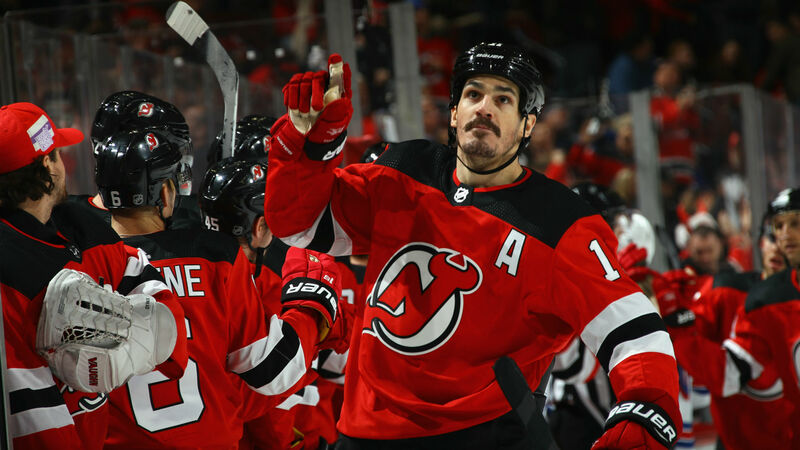 NEWARK, N.J. — Brian Boyle will tell you that he’s “seen it all” over his 11 seasons in the NHL, but what he saw at the start of training camp with the Devils this year certainly caught his attention. Though he was aware of the minimal turnover in the team’s roster this summer, it hit home what a big deal this is when he looked around the locker room last week. RUMOR ROUNDUP: What should Blue Jackets do with Artemi Panarin, Sergei Bobrovsky? After reaching the playoffs last spring for the first time in six years, the Devils were very quiet this offseason, adding fringe veteran defenseman Eric Gryba while losing regular D-man John Moore and trade-deadline pickups Patrick Maroon and Michael Grabner to free agency. Clearly a team on the rise — one featuring the reigning Hart Trophy winner Taylor Hall and talented sophomores Nico Hischier and Will Butcher at the heart of its core — the Devils chose not to make moves outside the organization this summer. It doesn’t mean general manager Ray Shero won’t deal in-season — remember, just last November he filled a major hole on the defense corps by swapping Adam Henrique to Anaheim in exchange for Sami Vatanen — but for now he is looking within the organization for answers. “We love who’s in here,” said Boyle, himself a key veteran who won the Masterton Trophy last year for his dedication and perseverance to the game of hockey while battling a treatable form of cancer. The Devils, though, understand they need to be better than last year, when they finished eighth in the Eastern Conference, a single point ahead of the Panthers. New Jersey was eliminated in the first round of the playoffs, falling in five games to the Lightning. “We should want more than that,” Boyle told Sporting News. “We lost in five games. We won only one (playoff) game. That’s pretty disappointing to me. We now know what it takes to get to the playoffs and how much fun it is when you’re there, but we don’t want to be there for only nine days. You want to be feeling like crap at the end of it, you lose weight, your face looks terrible because you haven’t shaved. That’s where you want to get to. There are still holes to be filled, and roster battles to be won in training camp. New Jersey received major contributions from rookies Hischier, Butcher, Jesper Bratt and Blake Coleman last season, and would love to see more of its prospects contribute this year. With 19-goal scorer Miles Wood — a restricted free agent coming off his entry-level deal — unsigned and out of camp, an opportunity is there for former first-round picks John Quenneville and Michael McLeod to grab a spot. Ditto for Nick Lappin, a 25-year-old with 49 games of NHL experience who scored 31 goals in 65 AHL games last season. All three forwards showed well in Monday’s preseason opener against the Rangers. Lappin scored a pair of goals — including one on the power play — McLeod won seven of nine faceoffs and assisted on Lappin’s power-play tally, and Quenneville scored a power-play goal while also getting into a fight with New York’s Rob O’Gara.